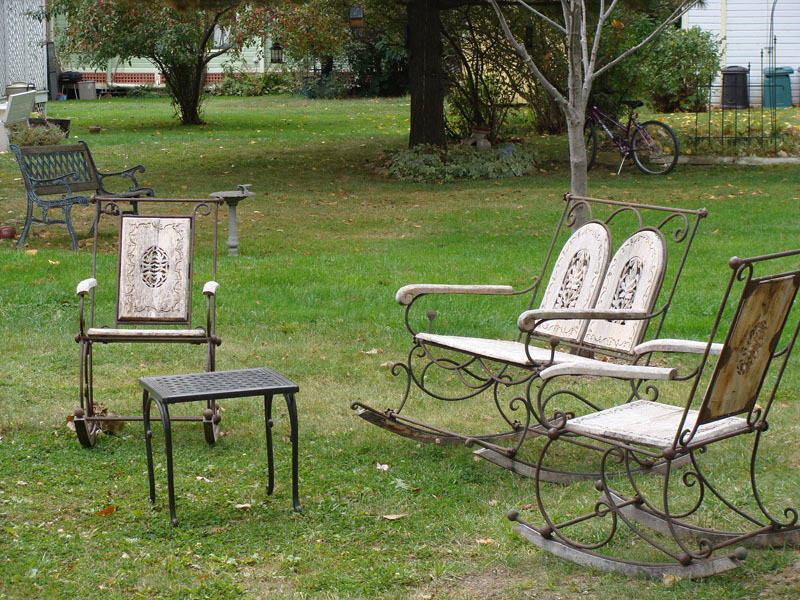 A whole lot of sitting around goes on up in Thousand Island Park and here are the chairs to prove it. 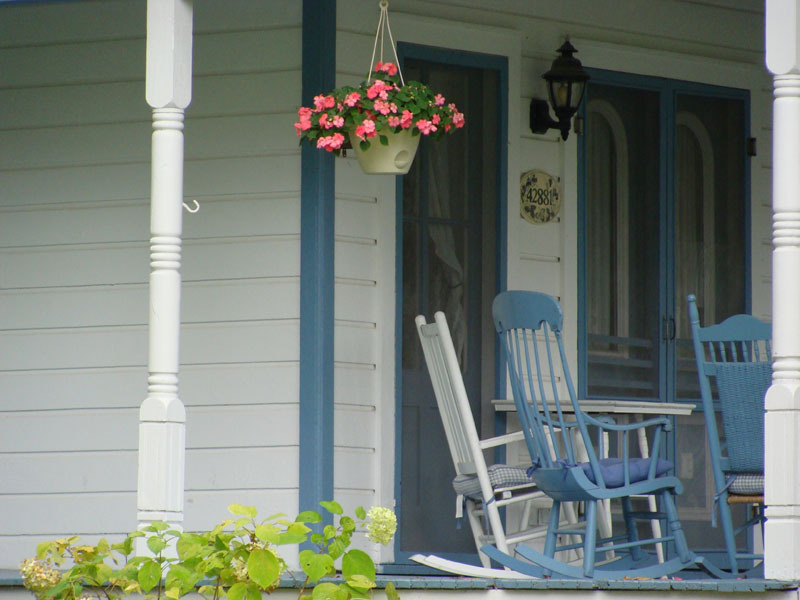 It was nice and warm here today – 65 degrees and so I got in the summer frame of mind. When I went looking for a specific photo I accidently, on purpose, ended up in some 1000 island file and found these photos. 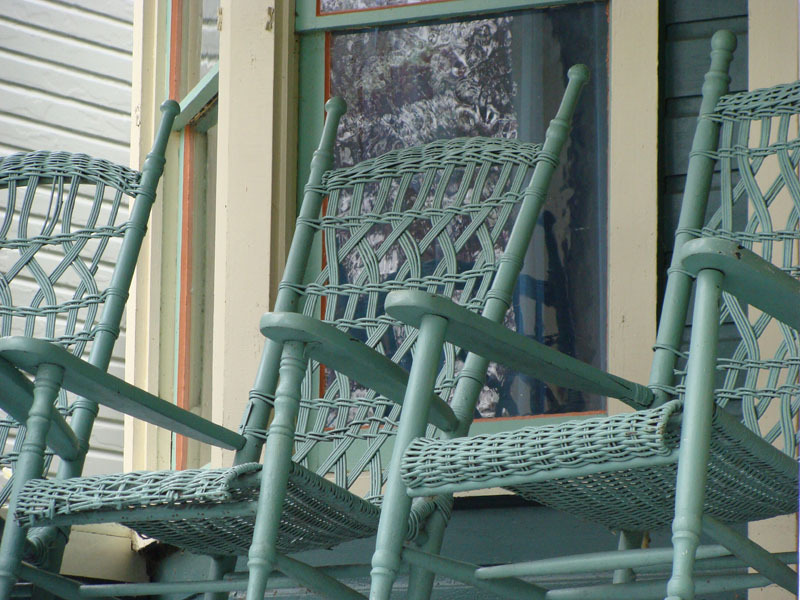 Love these chairs! 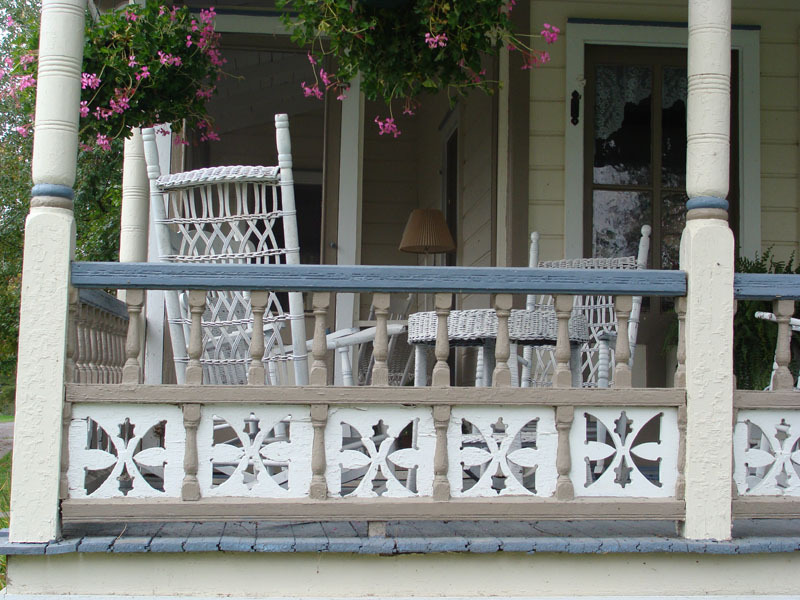 This porch is so pretty with all the wicker and gingerbread. Cookies and ice tea? 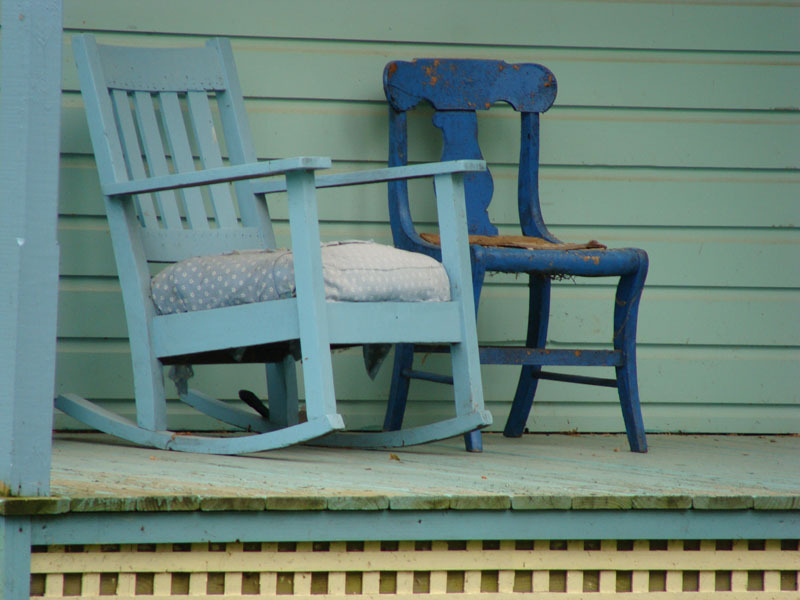 Looks like you can just walk up and have a seat in these fine chairs. 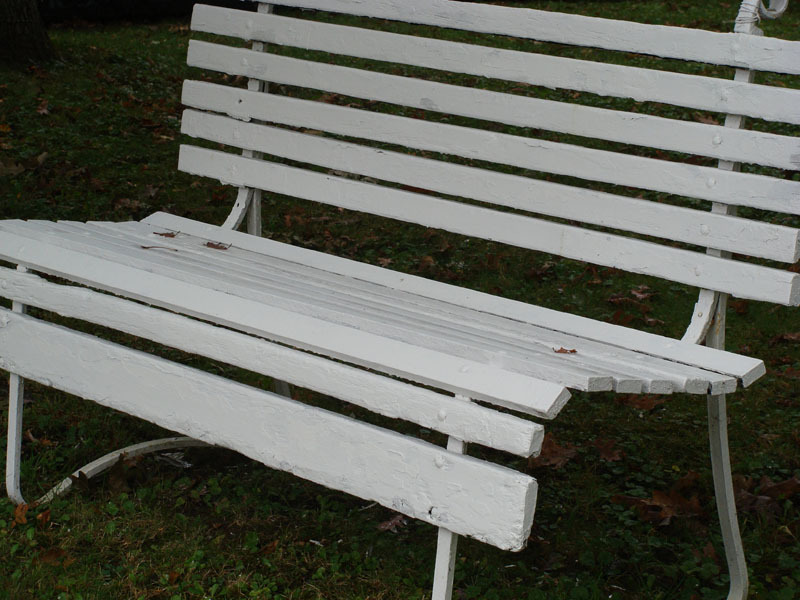 Another coat of fresh paint and the bench is ready for another season. Chairs just waiting for for some sitting. 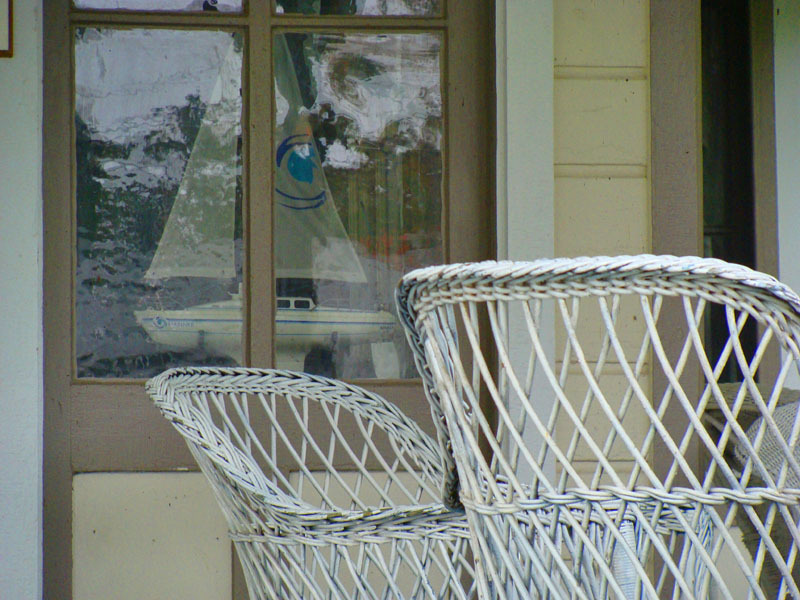 Check this one out – do you see the model sailboat in the window? And how about the wavy glass? 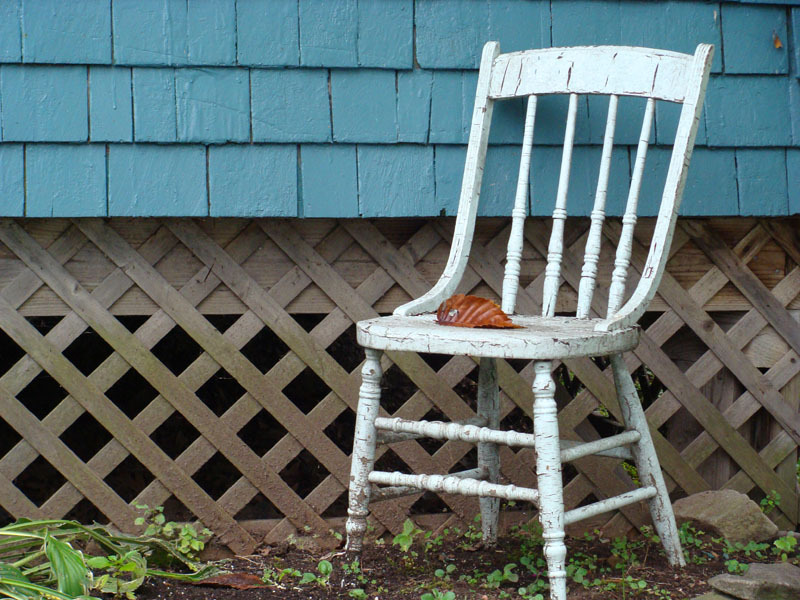 Not all sitting is done on the porch – sometimes we sit around in the yard. But you get the idea. We do a lot of sitting around up there. And we sit around on the water too.